Among the smorgasbord of features Amazon rolled out on Wednesday, two operational services stand out as a way to further distinguish the cloud giant from rivals Google and Microsoft. 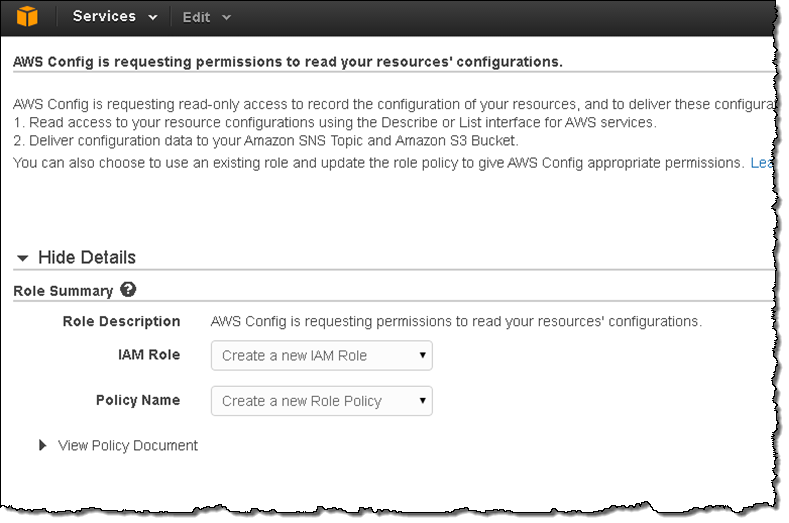 AWS Config and AWS Service Catalog, rolled out at AWS re:Invent 2014 in Las Vegas, are cloud-friendly versions of configuration-management databases (CMDBs) and service catalogs, respectively. A CMDB houses all of an organization’s IT information and can show the relationships between all of the items. A service catalog is like a virtual portfolio containing all of an organization’s products and IT services and correlates the two together so the business side can make better decisions. These two services are mainstays in the legacy world of big tech companies like [company]CA Technologies[/company] and [company]BMC[/company], so seeing [company]Amazon[/company] unveil its own take on the technologies shows just how serious [company]Amazon[/company] is at making its cloud more enterprise-friendly than its competitors. Hey, when you aren’t dropping your prices, you gotta do something. AWS Config, now available in limited preview in the US East (Northern Virginia) Region, is a configuration-management tool that seems similar to Chef or Puppet, but tailored to Amazon’s environment. With AWS Config, a user can track resources in AWS, track the relationships between those resources and then see how their changes might have impacted the system. AWS Service Catalog handles the traditional task of what a typical service catalog does in that admins can build and share with the organization a list of all of its products and related architecture and configurations. It also doubles as a security and access-management tool in that admins can set up permissions so that only authorized users can access specific applications. All of the information AWS Service Catalog collects is funneled into AWS CloudTrail where admins can review the info and confirm that everything is where it needs to be. With these two new features, it’s going to be fun to watch what Google and Microsoft roll out to compete.